According to Pakistan Studies curriculum, Muhammad bin Qasim is often referred to as the first Pakistani. Muhammad Ali Jinnah also acclaimed the Pakistan movement to have started when the first Muslim put a foot in the Gateway of Islam and that Bin Qasim is actually the founder of Pakistan. In the same vein, while noting how the penetration of Islam created different geographies based on religious factors, scholar Noémie Verdon says that, beginning with Ibn Kurdadba in the 9th century, Arab and Persian historians onward differentiated between the region of al Sind, where Islam would be the dominant political factor, and al Hind, which would remain under Hindu rule, and in the 10th century the "Hudud al-'Alam considers al-Hind different from al-Sind and delineates, for the first time, a defined territory for both regions." And when it comes to Pakistan, it has thus been noted that "although Biruni calls the whole region as Hind, he does differentiate between 'ard al-Hind' and 'ard al-Sind' and sometimes al-Hind and al-Sind, and in his al-Qanun al-Mas'udi, he has listed most of the present Pakistan under Sind", while André Wink, in a book which is precisely a cultural history of Al-Hind and the Indo-Islamic world, is even more explicit in saying that "Sind, in point of fact, while vaguely defined territorially, overlaps rather well with what is currently Pakistan. It definitely did extend beyond the present province of Sindh and Makran ; the whole of Balochistan was included, a part of the Panjab, and the North-Western Frontier Province." By Sindhu I mean that part of the Asian continent which is situated on the borders of the River Indus and its tributaries. In past ages, Sind and Hind have been considered separate entities; and Sind included Kashmir, the NWFP [Northwest Frontier Province], the Punjab, Baluchistan and the present province of Sind. But as time went on, the name began to connote a smaller and smaller area until now it is assigned only to that part of the land which is watered by the tail end of the great river. Today again, fully aware of this fact, we are moving to weld together those different parts into one harmonious whole, and the proposed name, Pakistan, connotes the same old Sindhu land. Hindu nationalists have the same perception of Pakistan's longer history, journalist Eric Margolis precising that "to Hindu nationalists, even the continued existence of Pakistan constitutes a threat to the Indian union, as well as a painful affront to their sense of national importance and a galling reminder of their hated historical enemy, the Muslim Mogul Empire." In the same way, in 1992, during the demolition of the Babri Masjid a Hindu nationalist mob was heard chanting "Babur ki santan, jao Pakistan ya Qabristan! (Descendants of Babur, go to Pakistan or the graveyard! )", which also shows the identification, by Hindu nationalists, of Pakistan with the longer Islamic rule in the region. M. S. Golwalkar, who was a leader of the Rashtriya Swayamsevak Sangh (RSS), one of the most influential Hindu nationalist parties in India, shared the same perception on Pakistan, as legacy of Islamic hegemon in the region : "The naked fact remains that an aggressive Muslim State has been carved out of our own motherland. From the day the so-called Pakistan came into being, we in Sangh have been declaring that it is a clear case of continued Muslim aggression (...) we of the Sangh have been, in fact, hammering this historical truth for the last so many years. Some time ago, the noted world historian Prof. Arnold Toynbee, came forward to confirm it. He visited our country twice, studied our national development at close quarters, and wrote an article setting forth the correct historical perspective of Partition. Therein he has unequivocally stated that the creation of Pakistan is the first successful step of the Muslims in this 20th century to realise their twelve-hundred-year-old dream of complete subjugation of this country." In 1835 Lord Macaulay's minute recommending that Western rather than Oriental learning predominate in the East India Company's education policy had led to numerous changes. In place of Arabic and Persian, the Western languages, history and philosophy were taught at state-funded schools and universities whilst religious education was barred. English became not only the medium of instruction but also the official language in 1835 in place of Persian, disadvantaging those who had built their careers around the latter language. Traditional Islamic studies were no longer supported by the state, and some madrasahs lost their waqf or endowment. The Indian rebellion of 1857 is held by nationalists[who?] to have ended in disaster for the Muslims, as Bahadur Shah Zafar, the last Mughal, was deposed. Power over the subcontinent was passed from the East India Company to the British Crown. The removal of the last symbol of continuity with the Mughal period spawned a negative attitude amongst some Muslims[who?] towards everything modern and western, and a disinclination to make use of the opportunities available under the new regime. At the same time, Muslim nationalist leaders like Muhammad Iqbal emphasized the spiritual richness of Islam and Islamic philosophy. Muhammad Iqbal, the conceptual founder of Pakistan, is venerated by Pakistani and Muslim nationalists[who?] for implicitly endorsing the independence of a Muslim state in South Asia. Initially, Iqbal did not voice any such views. It was only in the late 1920s and early 1930s that he started proposing for autonomy for Muslim provinces within India. At this time, the Muslim League was not demanding independence from the British unlike the Indian National Congress. 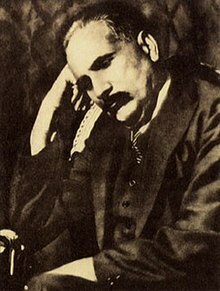 Iqbal demanded a Muslim state, regardless of whether it would have self-government, or whether it would be within the British Empire. Iqbal is widely credited[by whom?] for his work in encouraging the political rejuvenation and empowerment of Muslims, and as a poet not only in India and Pakistan, but also in Iran and Muslim nations in the Middle East. In the Indian rebellion of 1857, Muslim soldiers and regional kings fought the forces allied with the British Empire in different parts of the British Raj. The war's spark arose because the British attacked the "Beastly customs of Indians" by forcing the South Asian soldiers to handle Enfield P-53 gun cartridges greased with lard taken from slaughtered pigs and tallow taken from slaughtered cows. The cartridges had to bitten open to use the gunpowder, effectively meaning that sepoys would have to bite the lard and tallow. This was a manifestation of the disregard that the British exhibited to Muslim and Hindu religious traditions, such as the rejection of Pork in Islam and the rejection of slaughter of cow in Hinduism. There were also some kingdoms and peoples who supported the British. This event laid the foundation not only for a nationwide expression, but also future nationalism and conflict on religious and ethnic terms. The Muslim desire for independence and a new state for the Indian Muslims, or Azadi was born with Kernal Sher Khan, who looked to Muslim history and heritage, and condemned the fact Muslims were ruled by the British Empire and not by Muslim leaders. The idea of complete independence did not catch on until after World War I, when the British reduced civil liberties with the Rowlatt Acts of 1919. When the Jallianwala Bagh Massacre in Amritsar, Punjab (India) of hundreds of unarmed civilians by British forces took place in the same year, the Muslim public was outraged and most of the Muslim political leaders turned against the British. Pakistan was finally gained independence in 1947 on the basis of Two Nation Theory.Today, Pakistan is divided into 4 provinces. The last census recorded the 1981 population at 84.3 million, nearly double the 1961 figure of 42.9 million. By 1983, the population had tripled to nearly 93 million, making Pakistan the world's 9th most populous country, although in area it ranked 34th. The political identity of the Pakistani Armed Forces, Pakistan's largest institution and one which controlled the government for over half the history of modern-day Pakistan and still does, is reliant on the connection to Pakistan's Imperial past. The Pakistan Muslim League's fortunes up till the 1970s were propelled by its legacy as the flagship of Pakistan's Independence Movement, and the core platform of the party today evokes that past, considering itself to be the guardian of Pakistan's freedom, democracy and unity as well as religion. Other parties have arisen, such as Pakistan Peoples Party, once advocating a leftist program and now more centrist. Nationally, the ruling Pakistan Peoples Party (PPP) is weak. In contrast, the Muttahida Majlis-e-Amal employs a more aggressively theocratic nationalistic expression. The MMA seeks to defend the culture and heritage of Pakistan and the majority of its people, the Muslim population. It ties theocratic nationalism with the aggressive defence of Pakistan's borders and interests against archrival India, with the defence of the majority's right to be a majority. Ethnic nationalist parties include the Awami National Party, which is closely identified with the creation of a Pashtun-majority state in North-West Frontier Province and the Federally Administered Tribal Areas includes many Pashtun leaders in its organization. However, the Awami National Party, At the last legislative elections, 20 October 2002, won a meagre 1.0% of the popular vote and no seats in the lower house of Parliament. In Balochistan, the Balochistan National Party[disambiguation needed] uses the legacy of the independent Balochistan to stir up support, However at the legislative elections, 20 October 2002, the party won only 0.2% of the popular vote and 1 out of 272 elected members. ^ "Allama Iqbal - Biography - Text". www.allamaiqbal.com. ^ Newcomb, L (1986). "The Islamic Republic of Pakistan: Country profile". International demographics. 5 (7): 1–8. PMID 12314371. ^ "PKKH.tv - A Pakistan centric depiction of the South Asian contemporary affairs". PKKH.tv.